The Albany, which is one of our most popular wooden shaker doors, features a flat, solid center panel. 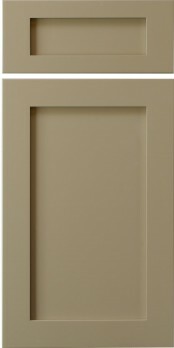 In order to make this a desirable door optimal for painted finishes, CWS created the Albany (MDF) door. This traditional, five-piece mortise & tenon joined door is constructed of full MDF and should be considered if you enjoy a traditional door design & construction, but desire a painted finish.